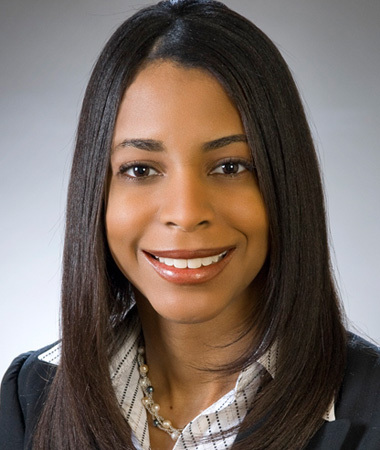 Shaquira Johnson is Vice President and Initiative Development Manager of the Business Banking Segment for KeyBank. Her responsibilities include driving the development and execution of sales programs and tools to support strategic initiatives. She collaborates with partners across the bank to ensure needs of business clients are met through product delivery, marketing, technology and communications. Shejoined KeyBank in 2006 and has 20 years of banking experience. She has held management positions, at KeyBank and MBNA America (now Bank of America). Shaquira currently serves as president of the National Black MBA Association® Cleveland Chapter and recently completed her term as president of the Hawken School Alumni Board. She also holds the position of co-secretary on the executive committee of the Board of Directors for the Boys & Girls Clubs of Cleveland and leads the Resource Development/Marketing committee. She is recognized as a past inductee of Kaleidoscope’s 40/40 Club. Shaquira is committed to having a positive impact in the community and worships at Lift Him Up Apostolic Faith Church. Shaquira earned her Bachelor of Arts degree in Communication from Denison University and her Master of Business Administration degree from Weatherhead School of Management at Case Western Reserve University.